The sun shines brightly on the long tent outside the commons. On the inside, there is a market filled with curiosities to rival a fantasy novel. The air smells of kettle corns as hand-knitted scarfs, vintage typewriters, and witty prints are displayed under handwritten price signs and Christmas lights as patrons move to examine colorful booths. This is the Halifax Made in Canada Etsy Market, back for round two. It’s certainly a change from the crowded bingo hall of last year. This year, the market has managed to arrange itself at the foot of Citadel Hill, and grown to include 75 vendors, sponsors and food trucks, not to mention the larger crowd of shoppers attracted to the one-day event. Last year, Sidat was the one who led the organization of the first Made In Canada market, and this year she shares responsibility with her co-leader Jessika Hepburn. Both veterans and newcomers of the market agree that the new venue was a great addition to the market. 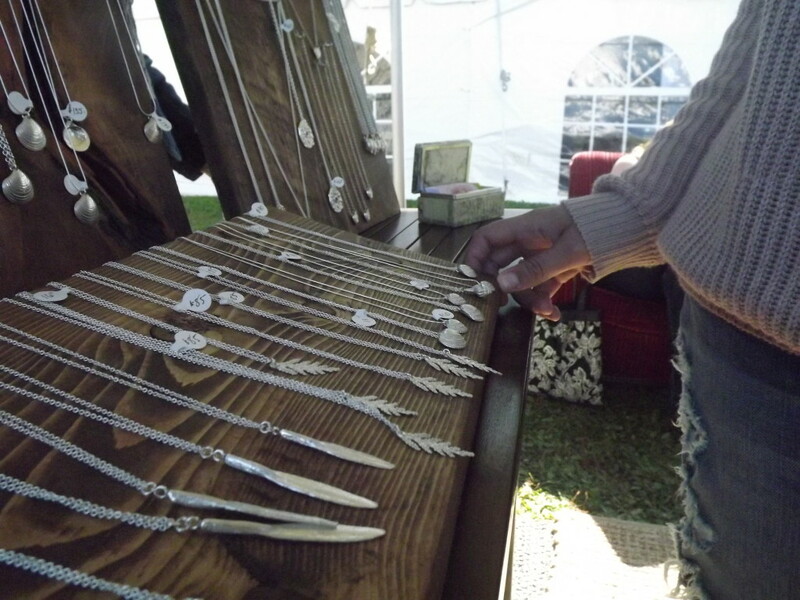 “We’ve met so many amazing people, and everyone is so friendly and so positive,” Jann of Reject Jewelry said. Reject Jewelry is “a 1000-piece project” that uses discarded VHS and cassette tapes to make jewelry, and the Etsy market was their first show ever. There are still improvements to be made, though. Most vendors, including the food trucks, only accept cash or credit cards, and the crowded space made it difficult to maneuver, especially when people brought pets or children through. 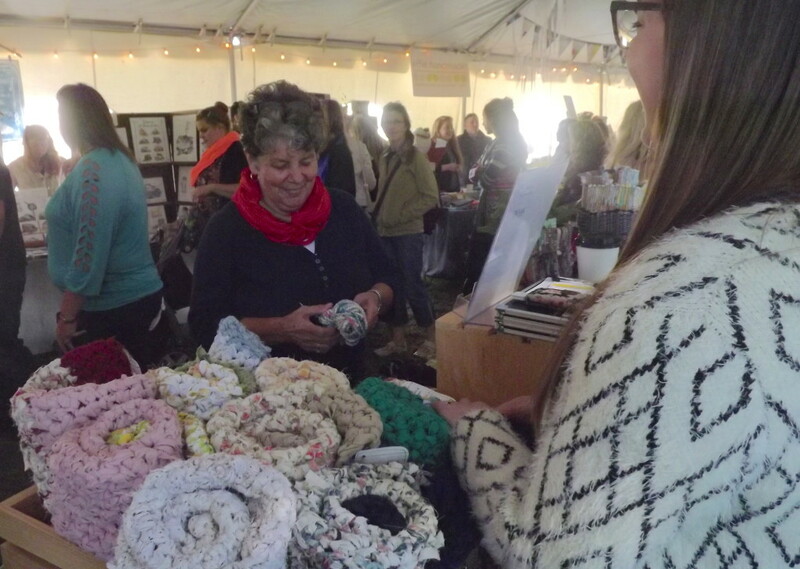 But the great autumn sunshine, as well as the friendly atmosphere and the sheer amount of interesting products on display, led to a great second year for Halifax’s Etsy community.